Restart Steam. This simple action allows your computer to fix many issues, and it’s extremely useful after you’ve installed the latest OS updates. Click the Local Files tab > select Verify Integrity of Game Files. Install the available updates > restart your computer. Run Steam as an Admin. This can also help fix the “Steam Initialization Failure” error. Simply go to C:Program Files (x86)Steam > right click on Steam.exe and select Run as Administrator.  Run PlayerUnknown’s Battlegrounds as an Admin, to ensure there are no restrictions. Go to C:ProgramFiles(x86)/Steam/steamapps/common/Battlegrounds/TslGame/Binaries/Win64 > select TsLGame.exe > right click it > run as Administrator. Switch Real-time protection to Off. Use the options available on the left hand panel to either turn the Firewall off or allow an exception for the game. Scan your system using a registry cleaner. Place PlayerUnknown’s Battlegrounds on the same hard drive as your Windows OS. For improving the performance of the game, you can try installing the game in a SSD (Solid state drive), as it’s much faster than a normal hard disk drive. This should help in resolving this issue. If you have any on-going trouble please reach out to the Player Support Team.